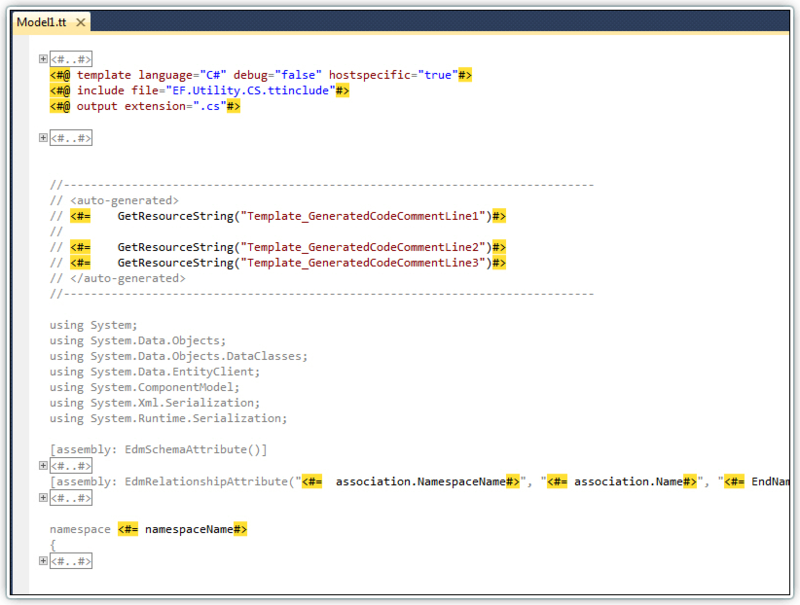 Devart T4 Editor is a powerful Visual Studio add-in for editing T4 templates with syntax highlighting, intellisense, code outlining, and all features of first-class text editor add-in for Visual Studio. 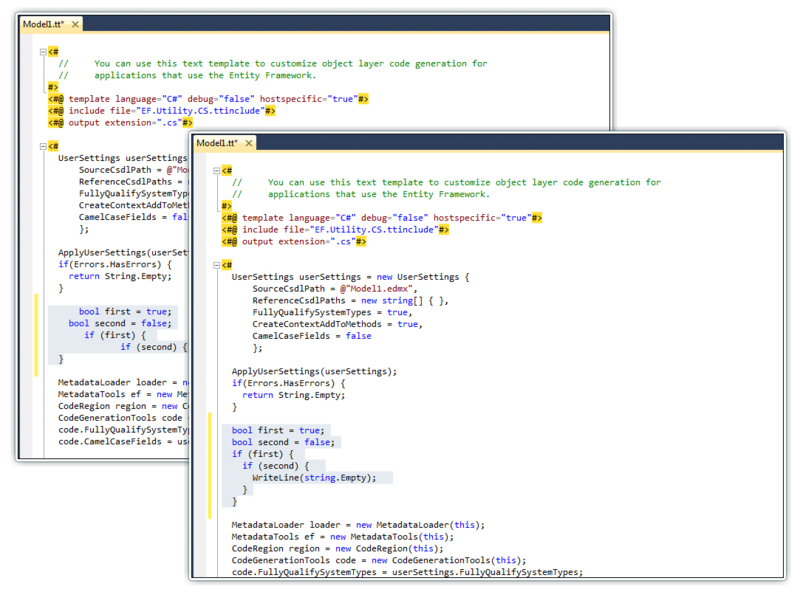 Devart T4 Editor is a powerful Visual Studio add-in for editing T4 templates with syntax highlighting, intellisense, code outlining, and all features of first-class text editor add-in for Visual Studio. It provides very high performance and makes creating T4 templates easier and faster. 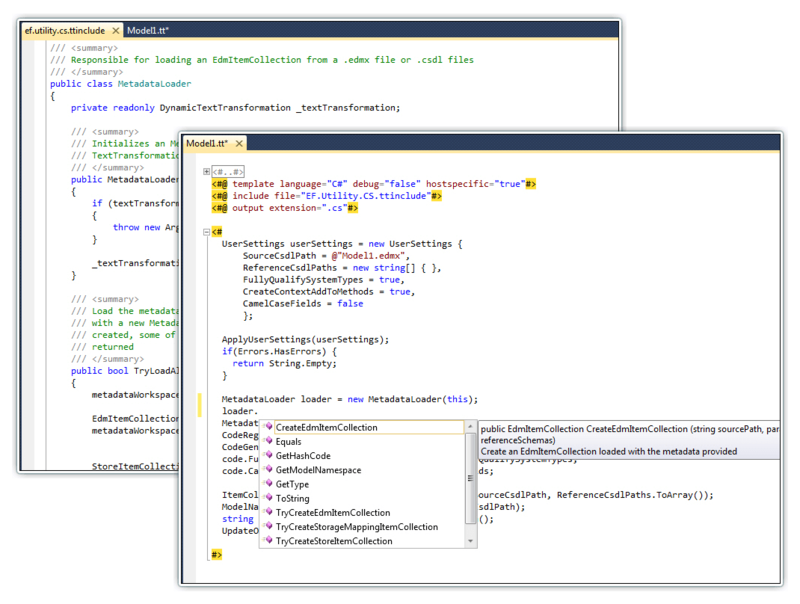 Devart T4 Editor provides comprehensive intellisense including all Visual Studio C# and Visual Basic intellisense features - tooltips, parameter info, code completion, and additionally supports a completion list for template directives. 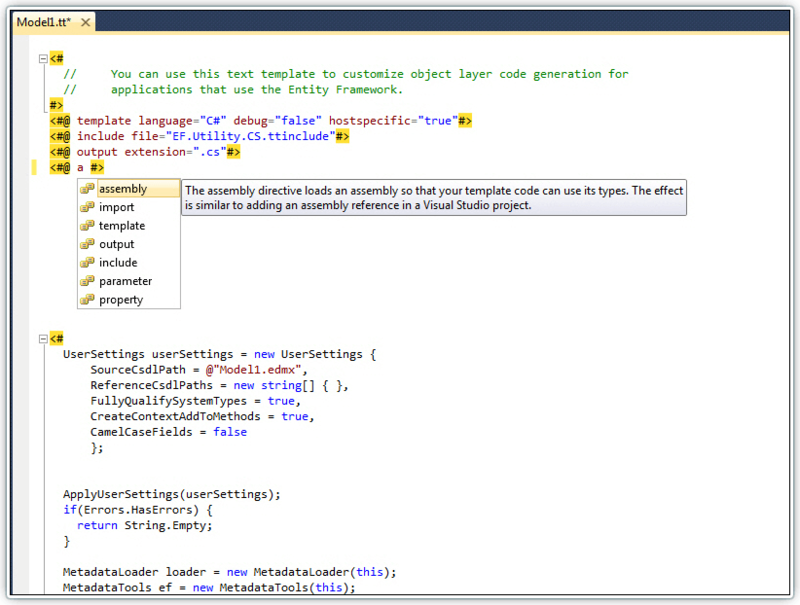 T4 Editor intellisense lists all available C# classes and members, even those that are in included template files and in referenced assemblies. 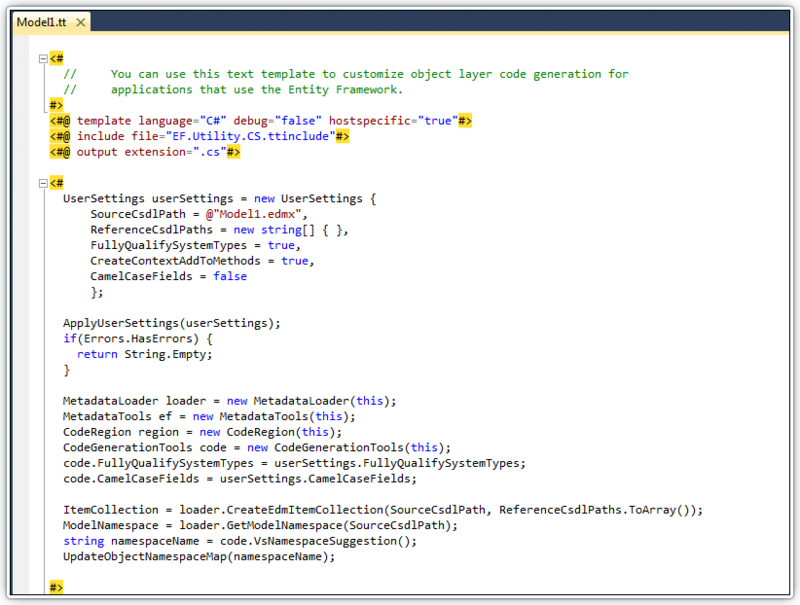 Devart T4 Editor highlights template directives, C# and Visual Basic code. You can easily distinguish text from the function calls. 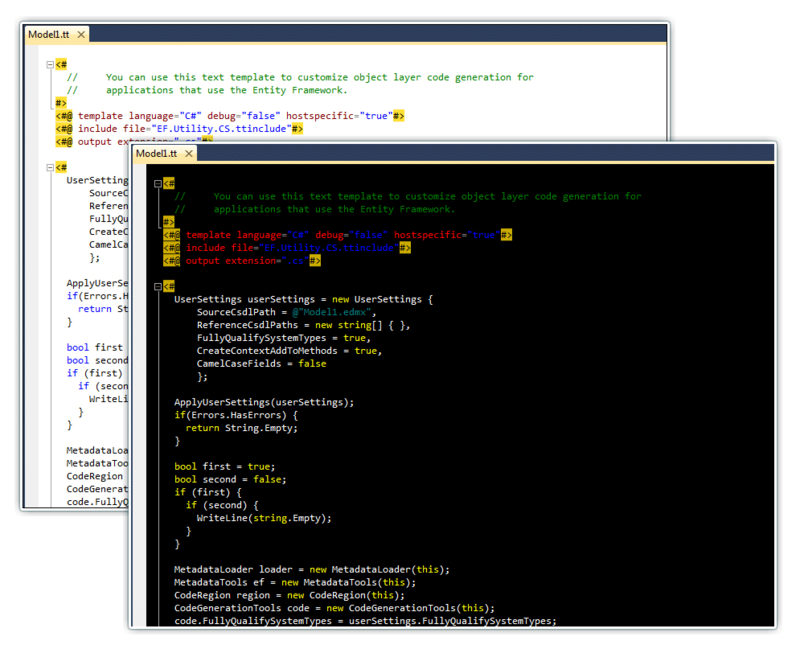 Fonts and colors for templates can be customized as for any Visual Studio code editor. Devart T4 Editor supports multilevel template including. All classes from included templates are available in intellisense, and you can navigate to them with Go To menu commands. 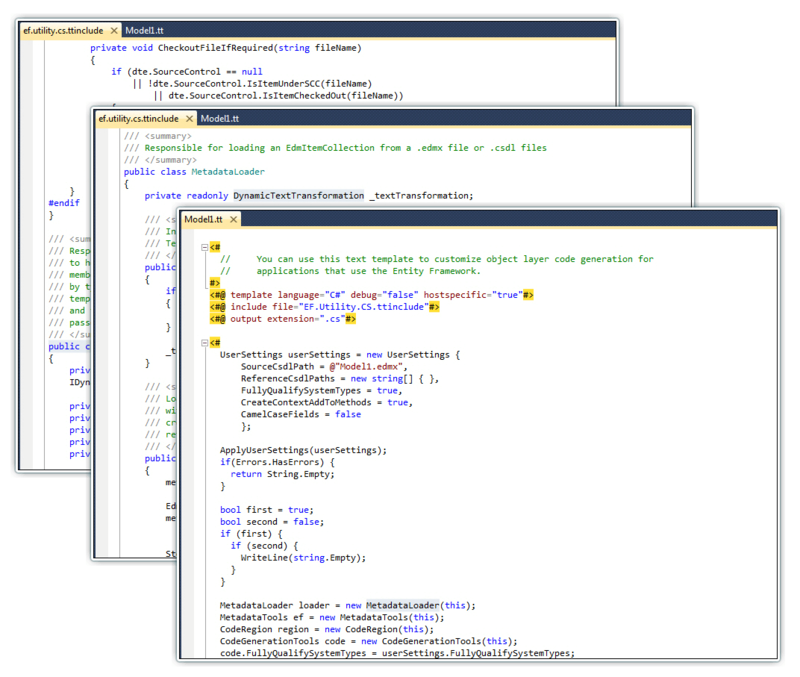 Devart T4 Editor supports fast and convenient code folding feature. You can hide or display T4 control blocks, which simplifies template understanding and editing. 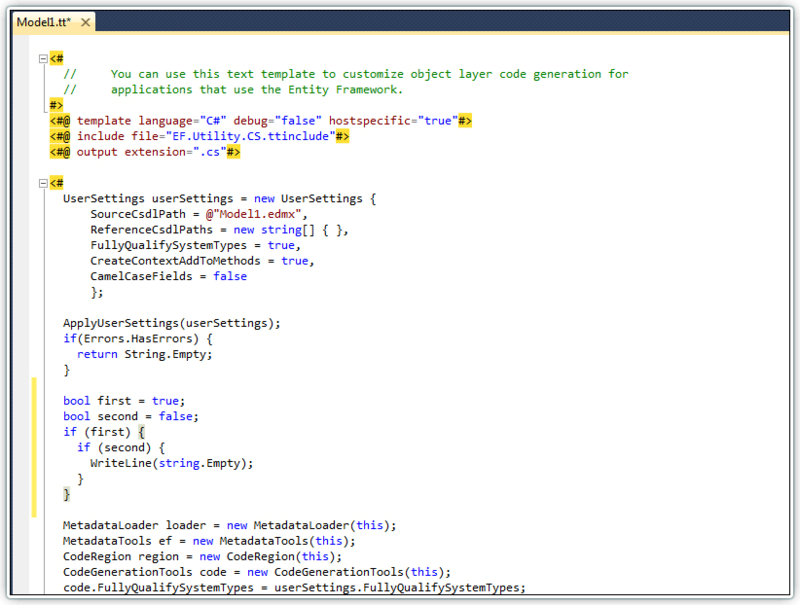 You can enable or disable intellisense, word wrapping, virtual whitespace, line numbers, etc. Fonts and colors for syntax highlighting also can be changed. Devart T4 Editor provides customizable and intelligent indenting. You don't need to add spaces or tab characters manually.